How to sort grid view column when user click header on the grid view column? 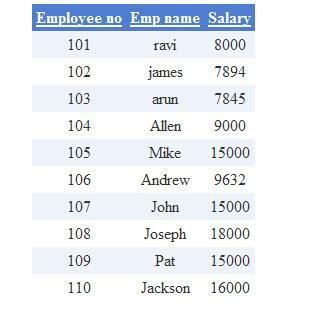 In this article I have explained about how to sort grid view data if user click on the restrict use column header text. For example if user have lots of date in the grid view suppose he want to sort employee name order for that situation we need to sort by employee name. &LT;asp:GridView ID="GridView1" runat="server" DataKeyNames="eno" AutoGenerateColumns="False"
Here with I have attached entire source code download it and try to sort Grid view data on header text click. I hope this article help to know about sorting in grid view control. what i suppose to do. . . ? ?